Do you have specific requirements and conditions? We provide customized module solutions and service. Do you have any questions regarding the design or use of filtration products? Then you have come to the right place. You can get targeted, specific and sophisticated process engineering consultations from CUT for every industrial membrane application. We would like to offer you our comprehensive support. Starting with on-site consulting and continuing with professionally implemented and documented laboratory tests and on to full pilot projects, which includes the provision of plant operators. Does a membrane filtration process make sense for my application? Filtration using polymer membranes as a cross-flow process is just one part of the technically-possible separation processes. We will be pleased to test it for you as part of a laboratory trial to see whether the use of a membrane process is possible and economically viable for your specific case. 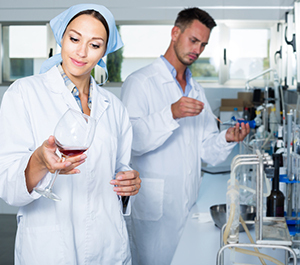 We have designed a number of laboratory filtration systems that are solely used for test purposes at our Erkrath facility – all of which are state-of-the-art. Our experts look forward to hearing from you and discussing the screening test requirements with you! 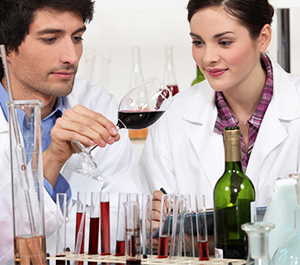 In addition to the laboratory tests to ensure the suitability of a general membrane separation process to be used in your process, the next step is an on-site pilot project. 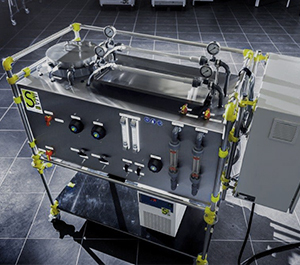 Filtration modules with conventional dimensions and filter areas are usually installed as part of the pilot project in order to present both a hydraulic as well as a realistic overview of the process and the processing parameters. This enables the later scale-up to be simulated, on a smaller scale or as a by-pass, which keeps the costs and time involved reasonable. We would like to support you in the design and rental of suitable plant technology. We also offer you the option for us to undertake or supervise the commissioning of our filtration modules as well as the pilot project. Please contact us. We will be pleased to help you! It might be helpful for you, for various reasons, to know a competent contact person in your area regarding any filtration questions that you might have. Regardless of whether it is a matter of retrofitting an existing plant with CUT filtration modules, clarifying questions about an existing process or installing a completely new filtration project in your company. We will be pleased to support you on-site and by phone with any questions concerning the application of our products or the associated process technology.